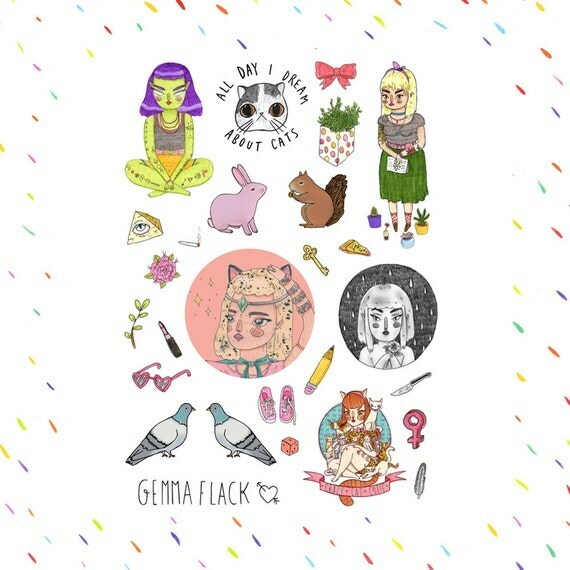 This week’s pick is Gemma Flack’s whose store is filled with artwork, zines, stickers and more. I was really excited to pick up a few things from her after finding out about her through the Bablien zine and finally did last month. The items I was most excited about was her zines ‘It doesn’t have to be perfect, it just has to exist’ and ‘Imaginary Girl Bands’. I am in love with Imaginary Girl Bands as I love the names and the story behind each band along with the accompanying artwork. The zine ‘It doesn’t have to be perfect, it just has to exist’ although nice felt a bit sparse to me and didn’t seem to be as thematic. The highlight of the zine was any page that had her portrait drawings on them and the a pressed flower one. 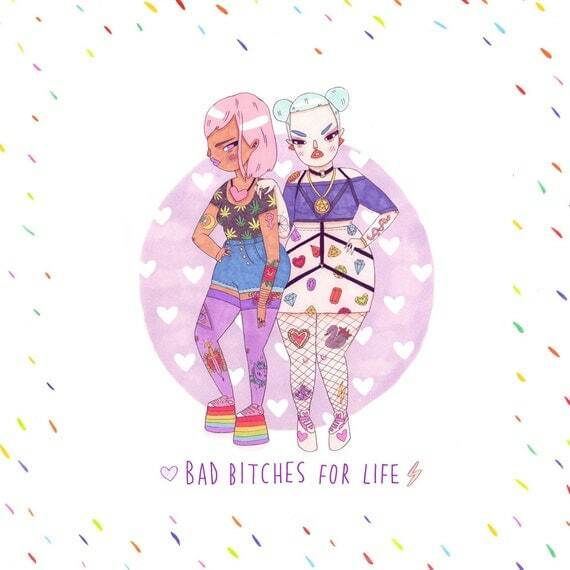 I also picked up a pack of temporary tattoos that are just really unique and fun. Overall I love everything and the package arrived quickly not to mention each item was reasonable priced. 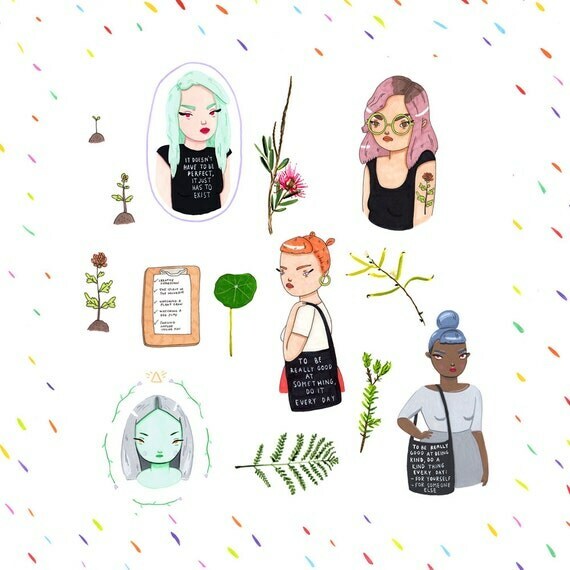 I am interested in seeing what she does for future zines and will buying from her again (I either didn’t notice or they are new, but her sticker packs are super cute). Below I have detailed photos of each item and the packaging. 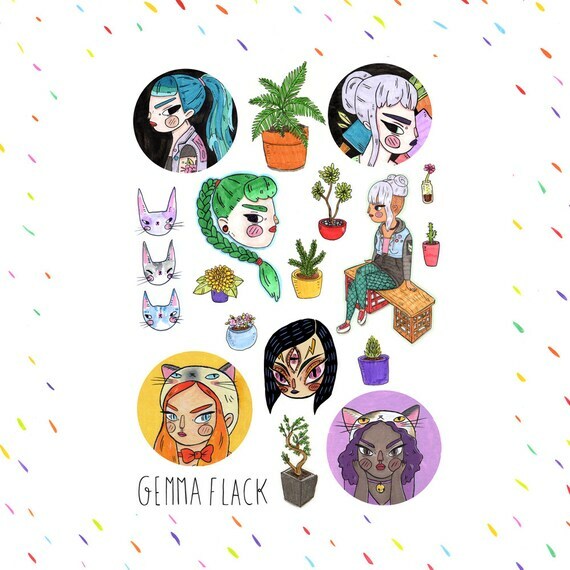 If you want to find out more about Gemma you can check out her website or store ! How everything came packed inside the envelope. Closer look at the temporary tattoos. I tested them out and they are easy to apply and the colors are really vibrant, which I love. It’s a transfer though and not a true tattoo so it’s one big sheet of film which for me got wrinkly very quickly from movement. A sneak peak at the zines and below is her mini print business card and free stickers that came with the zine.